With legistation and insurance requirements becoming more stringent we offer a comprehensive planning, design, installation, commissioning and maintenance service of Emergency Lighting to BS5266 and Fire Alarms to BS5839-6 for many public, commercial and residential sectors. Designing new systems where applicable, with testing and certification at required intervals. We recommend a range of solutions suitable to the size of property, the number of people occupying the premises and the evacuation speed required, with budget taken into consideration, our range of equipment is suitable for the highest level of decor offering a high quality finish. Consideration is required depending on the size of premises, the number of people using the premises and the evacuation speed required. As noise is a factor to consider within in these premises we install special beacons to supplement the convential sirens and bells. 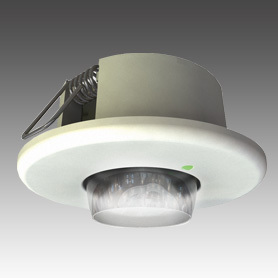 Multi stage fire alarms are installed to silently alert security staff who decide to activate full evaluation mode. If no reponse is received by the system full evacuation mode initiates automatically. Emergency Voice Communication (EVC) systems with a pre-recorded voice messages to alert the public without causing panic, are part of an effective evacuation plan. Our Testing and Compliance Certification meets the requirements of Emergency Lighting to BS5266 and Fire Alarms to BS5839-6 for public, commercial and residential sectors. It is the responsiblity of the owner, leaseholder and tenant to ensure that these are adhered to. If you are not sure what is necesasry please check with your insurer for further information, found on the small print of the policy.